Once again, Hobby Lobby does not disappoint. They have THE cutest valentine's day stuff. 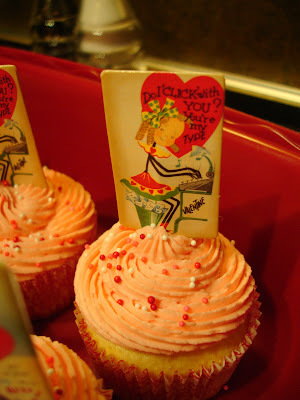 It makes me want to have a Valentine's day party just so I can buy all their cute stuff. 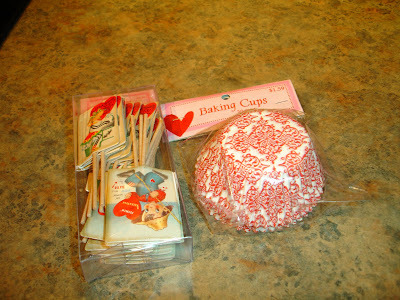 However, I have restrained myself and decided to only buy a couple of their cupcake supplies. I just thought they were too fun to pass up. 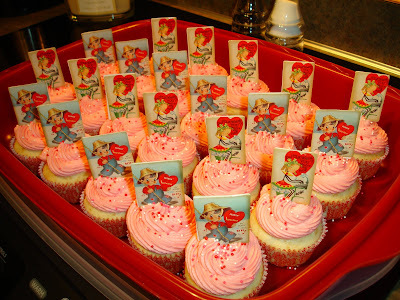 I made them for a ladies group at our church tomorrow night. 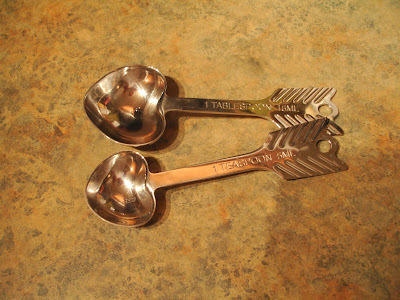 and it gave me an excuse to use my heart shaped measuring spoons. I love these because it's one of the first "house" gifts I got from my mom when I got engaged. I just love what they say too. In case you can't read the tiny words, it says, "Do I click with You? You're my type." 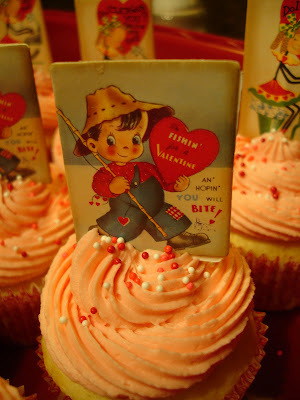 and this one says, "I'm Fishin' for a Valentine an' hopin' you will bite!" Isn't he cute?